stove-tops, microwave and small appliances. your property, saving you time and money. The Maid Connection of Tucson stands heads above the other residential house cleaning services in town. When you hire The Maid Connection for house cleaning service anywhere in Tucson, Drexel Heights, Oro Valley, Rillito, Marana, Saddlebrooke or the surrounding area, you can expect the most professional maid services around. Our philosophy is to treat your home as we would treat our own, and this is complemented by our years of experience in the industry. We pride ourselves on going above and beyond what the other Tucson house cleaning services offer, and our housekeeping services are as complete and thorough as they are flexible. We can accommodate your schedule and will make every effort to do so whether you need us on-call or by regular appointments. We strive to provide consistent, quality service and have found that our clients truly value seeing the same faces every time our house cleaning service arrives at their home. This allows us to easily handle special requests through our account managers, who will also serve as your contact to schedule new appointments, re-schedules and service questions. Though we always follow up on every cleaning via e-mail, we welcome all forms of feedback. 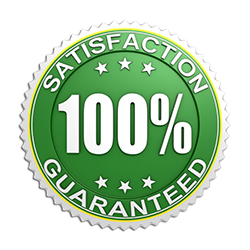 The Maid Connection of Tucson does offer a Written Satisfaction Guarantee. If any area of your home is not cleaned as you had expected, just call our office within 24 hours of the cleaning and we will gladly re-clean that area. The Maid Connection is also Licensed, Bonded & Insured for your comfort and safety. We are dedicated to excellent house cleaning services that deliver the professional demeanor of a franchised or corporate cleaning service with the personal attention, loyal staff and customized service of a local business. Please give us a call today to discuss your housekeeping needs with one of our friendly staff. Thanks for visiting us online! The Maid Connection is licensed, insured and bonded. We E-Verify all new employees. We will send the same, uniformed partners each time so that you can get to know the team who will be servicing your home. We are excited to have you as a customer and will make every effort to keep it that way. Both our office staff and cleaning staff will be delighted to meet your cleaning wishes. The Maid Connection will provide a cost-effective solution to fit your cleaning requirements. 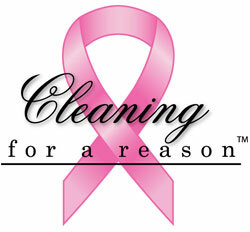 We can put together a customized cleaning plan that can both satisfy your cleaning needs and fit in your budget.